How interesting it would be to go through abandoned property and find some of those awesome antique radios. The man in this video is exploring an abandoned home in Belgium that belonged to a "radio collector/radio repairman," and besides all of the usual stuff you might expect to find in an abandoned home, there is one room full of old radios. You might enjoy taking a look. The video is almost 12 minutes long. Ever wish you could wave a magic wand and have your beloved console radio cabinet restored? Well, except for those unidentified magicians among us, it takes a great deal of work and time to restore any cabinet, but a big, beautiful console cabinet is even more time consuming. In this sped-up video of a restoration of a Philco Console radio set, you at least can feel a little bit like the quick restoration is possible. Oh and it’s set to classical music so you can rest and relax while you watch someone else does the work. Could it get any easier? 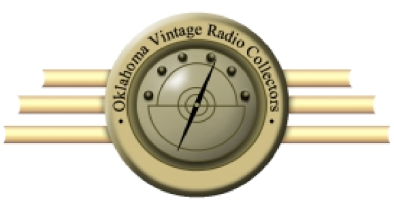 This is not a video for the serious antique radio collector who wants to repair radios, but if you are just starting out as a collector, Blake shows you how he made a simple dial repair. Of course, his method isn’t traditional or long-term restorative, but it gives you a look at the chassis of a Zenith radio, and is good for a bit of a chuckle, too. So, when you purchase an old radio for five dollars, you shouldn’t be surprised if you find it is full of lady bug carcasses, dust bunnies, or an ancient mouse nest. That doesn’t mean you shouldn’t take the chance if you like the radio. Besides, the Guitologist shows you a bit about testing and walks you through how he replaces the power cord, caps and tubes in the Philco Model 46-421 radio that he bought.